Teaching strategies that work for boys | Smart is cool! I believe that boys’ behaviour is linked to the way we teach. Good teaching will ultimately deliver good behaviour. Whenever you can, I encourage you to negotiate the curriculum with boys; make it about them. In fact I’m going to also say that whatever you do with the boys can only but benefit the girls as well. You will be surprised at how closely the negotiation is with the actual curriculum you intended to deliver anyhow. Discuss assessment with them; come to an agreement which suits both the expectation of the course they are about to undertake and their needs. Give them choices on how they might like to present their learning. This gives them the opportunity to shine using their strengths. 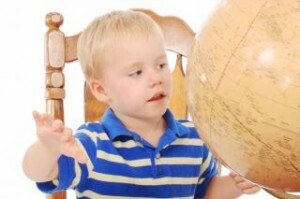 Create the environment in which they might come to understand more deeply the learning intended. “Boys are impressed by what they see or feel more than what they hear.” Shea (1964) Use their own experiences and set up environments to engage them more deeply. Here are a few ideas from colleagues and from my own classes that work. Power of One (Year 6 boys) Consider the strength of this introduction to South Africa and Apartheid: The teacher divides the room with a thick strip of white tape. Twenty-five boys occupy one-third of the room, two-thirds of the room, by only five. These five are the ‘chosen ones’. For a day the ‘chosen ones’ are given special privileges: they are treated to lollies, use the toilets closest to the classrooms, leave the room first, go to specialist classes before the oppressed twenty-five. The underprivileged ones are not to speak in class, can only play in a small grassed area, must use the toilets in the far end of the courtyard about 50-60 metres away and may only exit the room from the back door. The ‘chosen ones’ were given permission to throw their rubbish on the ground and simply by pointing, signal their wish for the underprivileged to pick it up. The 25 must obey. This behaviour might seem harsh but the teacher assured me that they made it as difficult for this group as was possible without jeopardizing their safety. A number of parents called the school, not to complain, but to congratulate the teacher on his efforts in establishing the setting for the novel with such realism that their boys would not stop talking at home. The conversation in the classroom the next day was amazing. “Was it fair?” the teacher asked. “Certainly not!” The oppressed group responded. “Yes” replied the ‘chosen ones’. “Yes!” came the roar from the 25. “No!” said the ‘chosen ones’. And on it went…a wonderful first hand experience of oppression and power. Tropical Rainforests (Yr 8 boys) My daughter actually told me this story…but it’s great for boys. It is amazing what a couple of humidifiers and some tropical fruits to share can do to set the scene for a geography unit on tropical rainforests. Michelangelo and the Sistine Ceiling (Yr 7 boys) It is always great to have boys imitate life, especially those of famous artists. It certainly gets their attention when one mentions their sexual orientation but getting them to lie under their tables armed with pencils, (not paints, mums tend to not like them having paint all over their uniforms! ), and have some paper already attached to the bottom for them to draw on. I have since found that this is not accurate and that Michelangelo probably leaned backwards while standing to paint the Sistine Chapel, but it worked for a while, much taller desks might be invaluable for future sessions!! Vincent Van Gogh (Yr 9 boys) Even 15 year olds enjoyed the introductory picture book story read to them from the teacher’s chair as they sat or lie on the ground. Their next task was to coordinate a human chronological timeline featuring the different episodes in the artists’ life and times. Then we moved to completing a mind map of what we had retained followed by a journey into cyber space. This was an excellent way to introduce the artist and his work and their literacy skills were advanced simply by using the words and simple phrases they had used to build their mind maps, the discussion and stories they had heard and then the interaction they had with the websites. Their essays were wonderfully personal and full on emotions. Needless to say they were very proud of their achievements and it wasn’t hard at all. Italian Region’s Project (Yr 7 boys) Why not encourage the boys by setting up a travel unit, asking them to complete forms, interview them using your colleagues as the government officials. 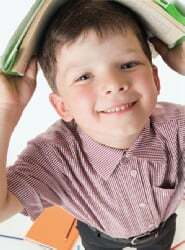 Boys tend to get quite motivated knowing that someone who does not teach them the language can actually understand them. Once successfully completing the interview, issue passports which act as the criteria sheets for all the different sections of the assessed tasks. The boys collect each assessment as they complete the tasks and return is anticipated with the final date stamp. It is a wonderful way to engage them and make them accountable for holding onto their passport. If they lose it the cycle begins again. We have yet to lose one! The Dadaists (Yr 12 boys) The Year 12 History teacher invites the Year 11 Studio Arts class to discuss Dadaism with her class. What does one do apart from panic because this is your first year at the school and she has been there forever and probably knows a lot more about History than you do! Answer: send her class outside while your class sets the scene. In one corner we have a couple with a dictionary, at the back another couple set up with easels and paint, some more cut newspaper headlines and throw them into a hat, another few are perched on top of the desk ready to make a stand, throw in a couple of harlequins and suits and the scene is set. Call in her class when you’re ready and ACTION! I am always on the look out for more great ideas. Why not share some of yours with us? It can only benefit our boys after all. This entry was posted in For educators and tagged boys, boys' education, individual differences, know your students, Learning Styles, relationships by Jo Prestia. Bookmark the permalink.